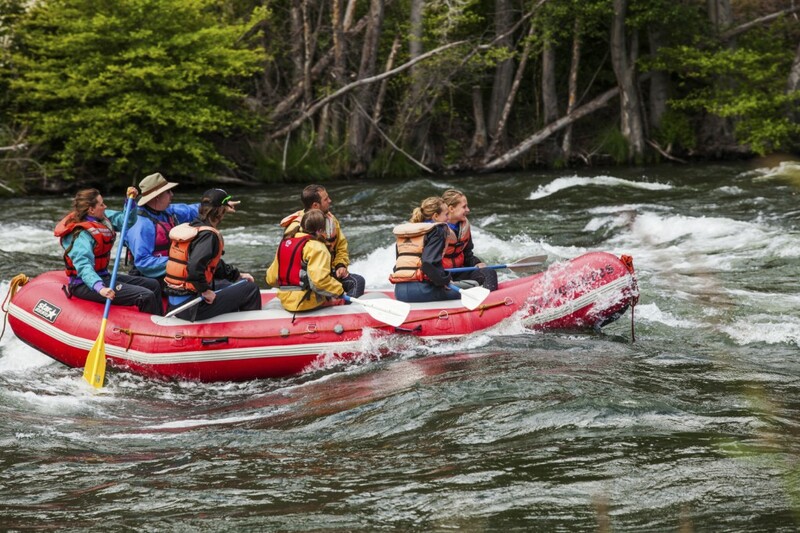 White water rafting is a great way to absorb the beauty of the river, share good times with friends and family, learn about the local geology, and just spend some free time. The benefits to white water rafting is long and every trip does not have to be a life defying adventure. Rafting specific stretches of a river can allow a group to plan according to their comfort level, available time, and the river’s accessibility. If you have never white water rafted before, do not let this discourage you from taking the steps to get familiar with a sport that will inevitably gain your favor. It is a fun sport that can be done safely. Most importantly, it is a great reason to just be on a river enjoying the scenery. 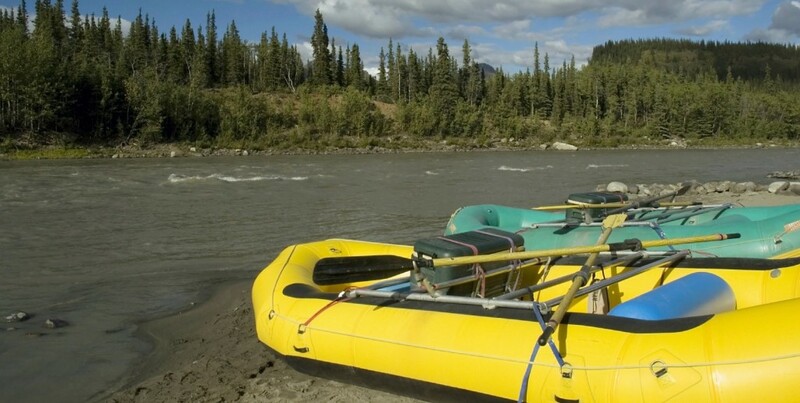 Planning a rafting trip can be a post in of itself. Whether you are new to rafting or a long time veteran, there’s always something to learn in the planning process. Rafting rivers is a dynamic process. The rivers characteristics, such as rapids, may have changed throughout the year and offer a different challenge no matter how often you have been on a river. Tracking water levels, if the river is not overly controlled by a dam, also needs to be considered for the timing of your trip. Permits issued by the local governing authority need to be invested. Where to start and end your trip plays a major planning role. The planning list can be long but is really no different from the diversity of items you would consider for any other trip. It’s a fun way to anticipate your upcoming rafting trip. There is no shortage of online resources to help you plan. This post will help select your river. 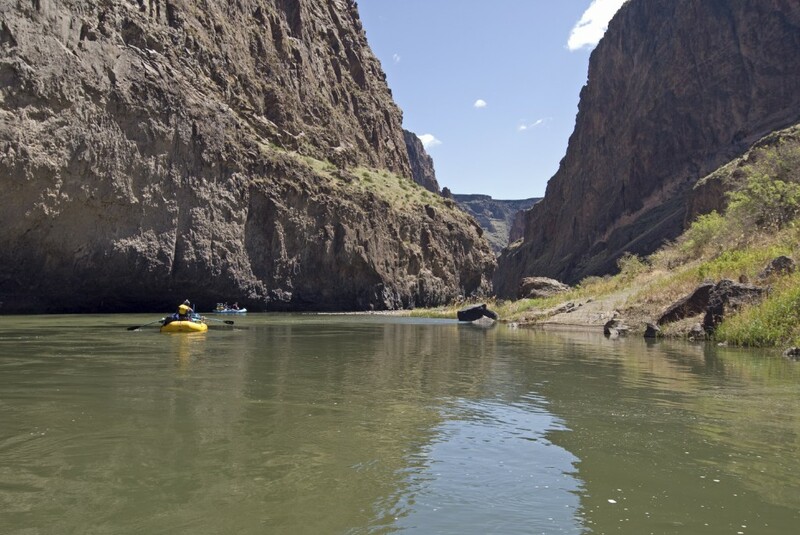 Commonly known as Oregon’s grand canyon, the Owyhee river does not disappoint. The canyons that have been carved the river is a spectacular scene. Some of the cliffs are over a thousand feet high, wildlife abundant with river otters, big horn sheep, and golden eagles. It is in a remote part of Oregon and takes planning to make your trip successful. It is also classified as a Wild and Scenic river with little access to services. The river is usually floated in 1 of 3 segments so start your planning now. Since the river is located in a desert region, finding the right time of year to float it is key. The water level needs to be sufficient for floating purposes. The Snake River starts in Wyoming but drains into the mighty Columbia River. It is a river that boasts many unique features in the United States. It is the deepest gorge in the US where it plunges 8000 feet between the Seven Devils range (east) to Oregon’s rim country (west). There are many combinations of possible trips to do on the Snake River, ranging from big rapids up high to lower gradient down low. 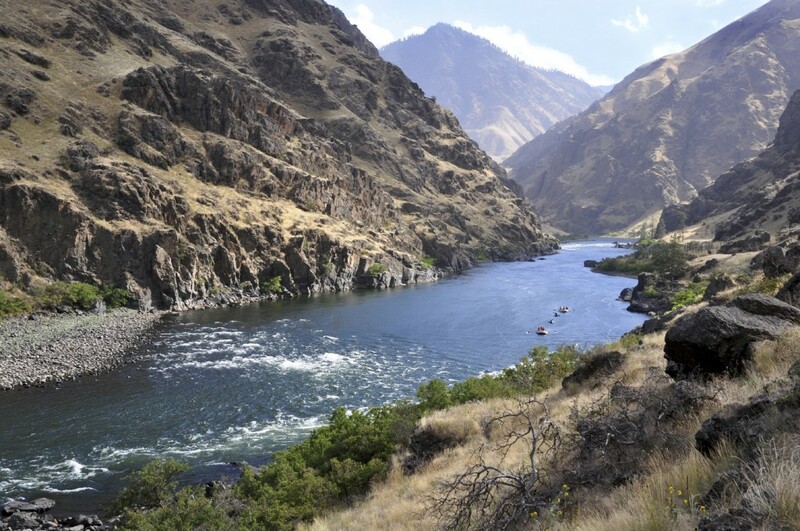 Either option, you choose, the recreational bliss factor is huge on the Snake River. The Deschutes River is another mighty tributary to the Columbia River. It originates in Central Oregon, near just south of Bend, Oregon, and meets the Columbia River due north. The history behind the Deschutes River is fascinating in how it played a role with the Native Americans and more recently, the pioneers who journeyed out west. As the history is diverse and rich, so are the recreational opportunities on the Deschutes. There are many rafting possibilities on the Deschutes and is a rare river that has steady flows so it can be rafted on year round (check with the local agencies on year round accessibility). This is another great river to raft with families and plenty of campsites around (some with pit toliets). Another bonus is the world class trout fishing the Deschutes offers as well. The McKenzie River starts high up in the Oregon Cascade Mountain range and drains westward into the Willamette River (another tributary to the Columbia River). It is approximately 90 river miles long and also represents Oregon well. Much of the river is in the National Forest and offers great solitude and recreational opportunities. Rafting the McKenzie will cater to many levels of rafters (or kayakers) and also offers great fishing, hiking, mountain biking, and spectacular scenery. Check with the local agencies on conditions and accessibility and you’re planning can start right away. 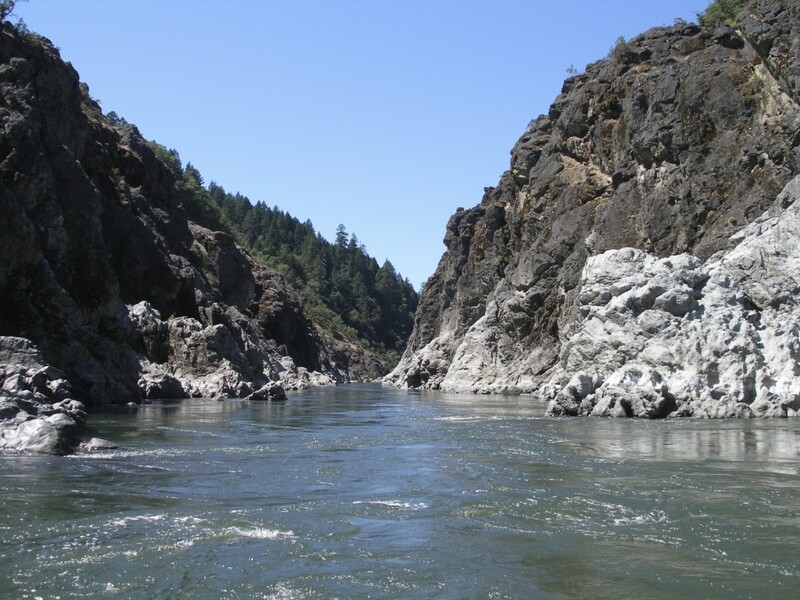 The Rogue River is a 215 mile long river starting in the Oregon Cascade Mountain range and flows westward directly into the Pacific Ocean. It has many characteristics that are unique in Oregon. Starting in a temperate forest, rushing down into a desert valley and finding its way through another mountain range with some of Oregon’s most unique geology. This river has it all, for the nature lover to the adventure seeker. A long stretch of the river is registered as Wild and Scenic (check with local authorities on permits) and is coveted by the rafting/kayak community. The river provides opportunities for both beginners to experts and planning the appropriate section for your trip is crucial (as with most rivers). 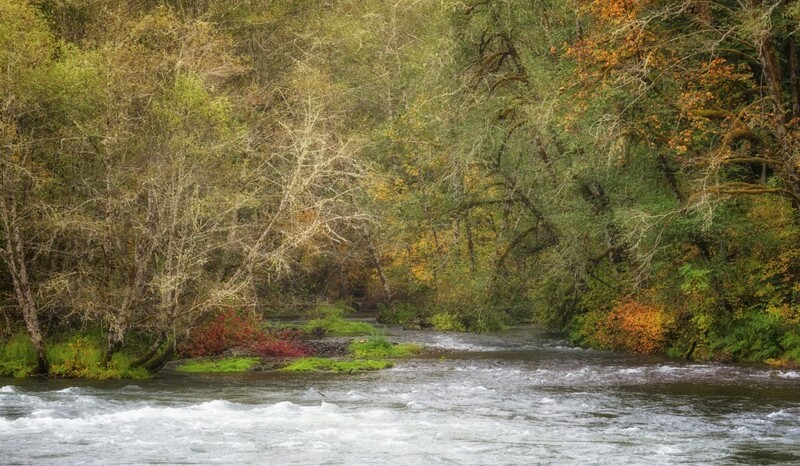 The ecological diversity offered by the Rogue River will whet almost any appetite. The above list is only a small representation of what Oregon has to offer in terms of rafting or kayaking. In general, the Pacific Northwest region’s ecological and geological diversity caters well to many water sports, rafting and kayaking only being a couple. Starting your planning with this list will inevitably open doors to other options worth exploring. Enjoy the planning journey as much as the trip itself.